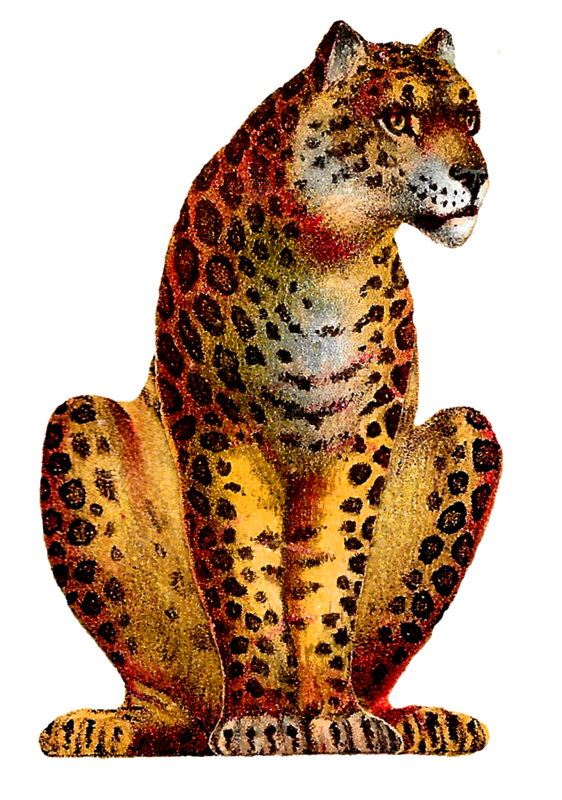 This is an amazing vintage leopard image download! Today I've posted a colorful digital image of a sitting leopard. The big cat clip art is bright, detailed, and beautifully colorful. Found in a Victorian scrapbook, this leopard paper scrap was part of a paper circus craft set. 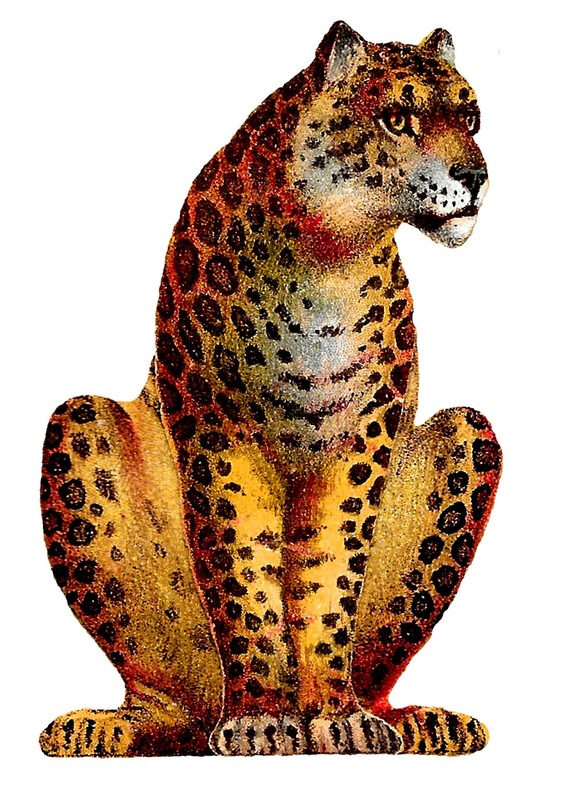 I can imagine this gorgeous digital leopard clip art as a design element in a circus or zoo crafting project.